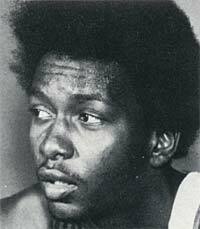 Went from high school directly to professional basketball in the ABA (with the Utah Stars), and became an NBA player when that league was folded into the NBA in 1976. Malone ended up being the last remnant of the ABA when he retired in 1995. Malone was named MVP in 1979, 1982, and 1983. In 1983 he brought the 76ers to the championship, defeating the Los Angeles Lakers. Malone holds a number of important records, including free throws made (9,018, second to the other Malone, Karl Malone), offensive rebounds (6,731), etc. The NBA named him one of the 50th best players of all time in 1997, and a Hall-of-Famer in 2001. He was accused by his wife in 1993 of brutality and making death threats (posting a $5K bond). Hypertensive and atherosclerotic cardiovascular disease.